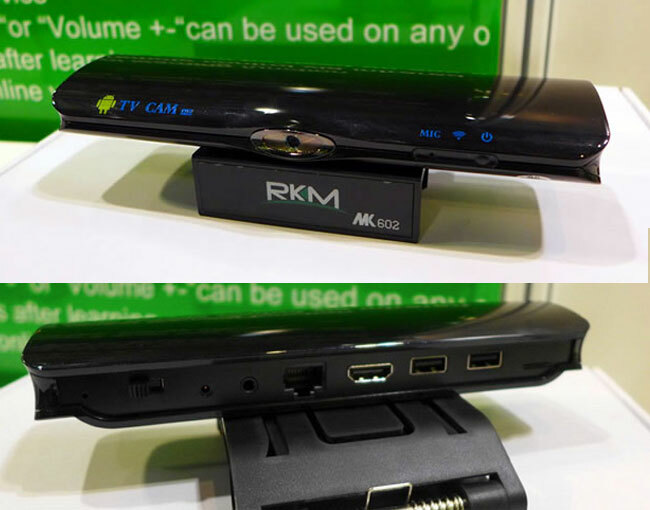 Rikomagic has this week announce the addition of a new device to their range of Android set-top boxes, in the form of the newly launched Rikomagic MK602. The Rikomagic MK602 is slightly different to the normal Android set-top boxes available at the moment, as its also fitted with a camera, allowing you to make video calls and take photos of you watching the TV if desired. The Rikomagic MK602 is fitted with a 1 x Ethernet port, 1 x HDMI output, 2 x USB ports, together with audio jacks, however hardware specifications have not yet been released as yet. Unfortunately no information on pricing or worldwide availability has either been released as yet for the new Rikomagic MK602, but as soon as information comes to light we will keep you updated.